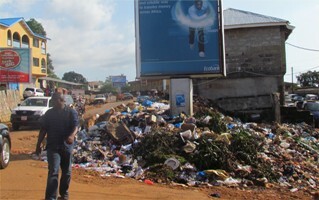 The growing mountain of garbage welcoming tourists and visitors to Freetown at the Bai Bureh Road – Dockyard gateway junction is now a disgrace, after six years of rebranding by the government. Major roads in the capital Freetown, such as Fourah Bay Road and Aberdeen Road have become overwhelmed with uncollected garbage, and are getting worse. Those living adjacent to rubbish dumps are bracing themselves for an inevitable outbreak of cholera and other poor sanitation related diseases. Like most honest Sierra Leoneans, including the country’s civil society groups, she was hoping that the government would realise its failings, and begin to take concerted action to address the deplorable state of poor sanitation and filth in the country. Sadly, that hope was misplaced. How many people have died needlessly from poor sanitation related diseases in the country since 2007, and how many more are going to die before Ernest Koroma leaves office in 2018? No one knows for sure, but one thing is certain: the growing mountain of garbage and poor sanitation has killed more people in Sierra Leone in the last ten years, in comparison with the number of lives lost during the brutal civil war? This is Alinah’s story, which was first published in June 2012. “If proper measures are not taken, the Sierra Leonean population would dwindle.” “Hah! Is this some kind of joke or what? What makes you say such a thing?” I listened to the conversation between two male adults playing a game of draught under a mango tree at Kissy Dockyard, in the east of Freetown. As I stared into the heap of garbage just a few feet away, my thoughts drifted to an article I read in the Malaria Journal about a month ago. The article states that malaria is one of the leading causes of mortality and morbidity among children in Sub-Saharan Africa. The disease causes nearly 800,000 deaths per year, most of which are children under five years of age. Sierra Leone has one of the highest under-five mortality rates in the world, and for every 1000 live births delivered, 269 newborns die. I wonder whether that statement made by the gentleman earlier, could be true. If 269 of every 1000 child die, what happens if malaria is not controlled or stopped? In my desire to find answers, I spoke to Dr. Francis Smart, Population and Reproductive Health Practitioner at the Princess Christian Maternity PCM Hospital in Freetown. He said ”Malaria is hyper-endemic and one of the main killers in children under five years of age in the country and this situation has led to serious health concerns”. One may wonder why there is high prevalence of malaria in the country. Can the reasons for this deadly situation be connected to the heap of garbage I am staring at? Let us see if we could find some understanding that would lead to precautionary actions. (Photos courtesy of awoko). Let us go down garbage memory lane and see what went wrong. Management of waste in Freetown has posed costly and annoying problems for authorities over the past years. From corrupt officials to low service coverage, highly inadequate equipment, inefficiencies such as low quality service, low labour productivity, poor public attitudes and widespread illegal dumping, the management of this problem has been challenging and unsuccessful. According to a study by Dave Sood, a World Bank consultant on behalf of the Sierra Leone government in 2004, it was estimated that over 745 tons of garbage is generated in the Freetown municipality a day. This situation has made waste management to be under variable organizations both public and private and this goes back to the 1960s. As a result of the civil war, Freetown became congested as thousands of rural residents migrated to the city which served as safe haven then. The result of this has been squalor, poor housing, inadequate sanitation, congestion, pollution and poor public services. The city suffered from a corresponding increase in the rate of generated waste which has very little management facilities. 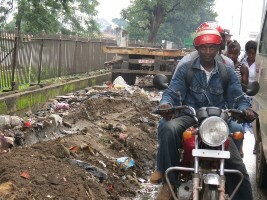 Piles of garbage can be seen everywhere in Freetown as most of the drains are clogged with garbage. Various streams of waste are generated and these are categorized as residential, institutional, industrial, commercial, and agriculture. These wastes have not been managed properly, and thereby pose many environmental and human health risks for all Sierra Leoneans. Garbage block storm drains creating breeding sites for malaria. This could be a primary cause for the rapid increase of the disease and its effect on the lives of the children. Successful waste management depends on an efficient operational system. This however, has not been the case with the Sierra Leone waste management system. The system has suffered from mismanagement and corrupt practices in the past leading to massive failures in the management of waste in the country. We saw how in 1996, the Freetown City Council purchased a street sweeper for about 500 million Leones, a machine that did not even last for six months after it was purchased. And after series of complaints by the people and a call for the intervention by the central government, a refund of 3.2 million pound sterling was made to the council for the machine. You may wonder what happened to that refund. Well according to a report on MSP News on March 27th 2006, the Mayor and his councilors exchanged heated arguments concerning the use of the money during their 18th general meeting. The report stated that out of thirty-three councillors, sixteen voted that the funds be used to settle their terminal benefits while seventeen voted against. This has been situation of the waste management system in Freetown for a long period of time, and continues to remain so with the current authority. The Freetown Waste Management Company (FWMC) is struggling to manage the wastes under tight budget, limited trained but inexperienced manpower and little or no legislative authority and experience in waste management. The General Manager of the Company, Sulaiman Zainu Parker, said the issues affecting the operations of the company range from inadequate and malfunctioning equipment, inefficient collection practices, poor hygienic operating practices, indiscriminate illegal dumping and littering by a public with seemingly little sensitivity to the garbage around them. This operational roadblock faced by authorities has led international agencies and organizations to lend a supportive hand. The Kreditanstalt fur Wiederaufbau KFW Germany, The World Bank, the British government, Engineers without Borders – Stockholm, to name a few, have supported in various ways – ranging from the provision of machinery and technical support to training of personnel. 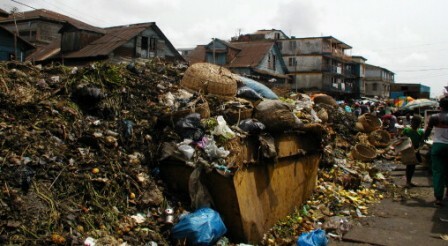 In June 2007, the British government Department for International Development (DFID) gave the sum of one hundred thousand pounds sterling to the Freetown City Council (FCC), for the construction of the Kingtom dump site to improve environmental sanitation and reduce child mortality caused by malaria. In addition to these support, Silvia Garcia, a researcher and a team of 12 professionals working in the waste management sector in the UK, visited Freetown in April 2009, to review the waste management problem that the country is facing. During the course of their stay, they held meetings with various stakeholders, delivering training in relevant waste management approaches and set up environmental clubs in selected schools in the city. ”We are therefore very keen to continue our project, in order to work towards a sustainable transformation of waste management in Freetown” said Silvia. Her direct experience with the situation has further motivated her to want to do more to help save the people of Sierra Leone. How well then has the authorities utilized the support given by international agencies? 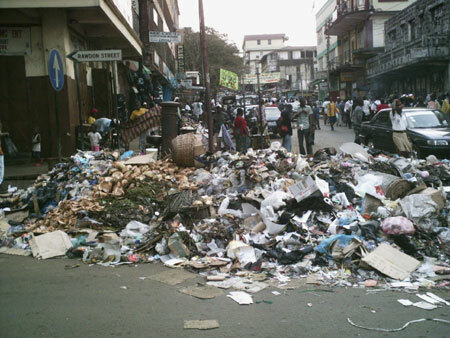 If utilised in the best interest, there should then be no garbage littering the streets of Freetown. A successful waste management depends on an efficient operational system. Yet, even with all the help and support, the problem remains. What then has the government done in ensuring that this problem is addressed? After several failed attempts to address the problems of waste management in the past, the government contacted the Sierra Leone Policy Watch Forum to undertake a study and come up with recommendations for solid waste management in the country. The recommendations were compiled by Mohamed Boye Jallo Jamboria, Research and Development Director for ScanAfrik Consultancy. The consultant recommended among other things that the government must have a new and nationally oriented policy for waste management. This would ensure an improvement in environmental sanitation, which will compliment other areas of health services provision. Furthermore, government should embark on a mass public education drive to sensitize the people on personal health and environmental consequences of poor waste management. 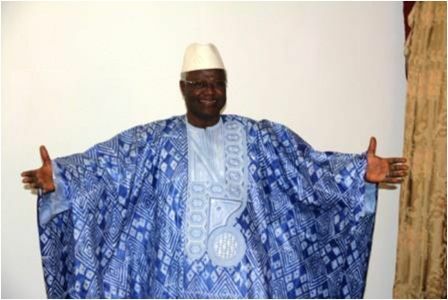 In order to implement the recommendations put forward by Mr. Jamboria, the government is now (2012) giving a Le.280 million monthly subsidy to the company, which is about 70% of the operational costs, to foster effective waste management in Freetown. Yet in the area of regulations, Mr. Parker lamented that the laws are still weak. They do not have any support from the police and that people are still indiscriminately throwing garbage on the streets. All is not lost though; there have also been some individual contributions to solving the problem. Abass Mansaray is one of the few Sierra Leoneans who have taken upon themselves to contribute by undertaking house-to-house garbage collection on a daily basis for a minimum fee of two thousand Leones per 50kg. And if there is a structured collaboration from other companies, individuals and the police, there could be some positive signs to the end of the problem. In terms of health support to combat malaria, the government through the Ministry of Health has put forward a five year plan to improve sanitation in the country, through public education. The goal of this plan is to gradually eradicate the deplorable and unhealthy sanitation conditions in the country. Furthermore, the Ministry of Health in its roll-back malaria campaign is working in collaboration with UNICEF and WHO to provide malaria treatment and mosquito treated nets, for pregnant women and mothers across the country. But when all is said and done, the people need to be more responsible for their actions. And unless there are strict enforced regulations, the situation would only be a vicious cycle, consisting of uncollected garbage serving as breeding sites for mosquitoes and malaria and the subsequent loss of lives. How many must die before president Koroma and his ministers prioritise the collection of rubbish and waste management in Sierra Leone? Why must we always go cap in hand to, or wait for the international community to come to our aid and clean our rubbish? Why Sierra Leone’s World Cup dream ended in tears?